There is nothing more exciting than rediscovering a brand of polish I had not seen in a long time in a store. LASplash nail polish has been off the shelves of Ulta for probably over a year now. I know LASplash even before has never really been a popular brand, but it was definitely a brand creating fun glitters prior to the indie craze. I was happy to spot the brand at Bed Bath & Beyond recently (note: only Bed Bath & Beyond stores with the Harmon cosmetics section will carry these). 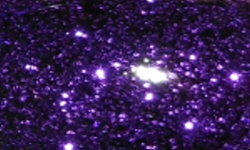 I picked up a few glitters and this was one of them. 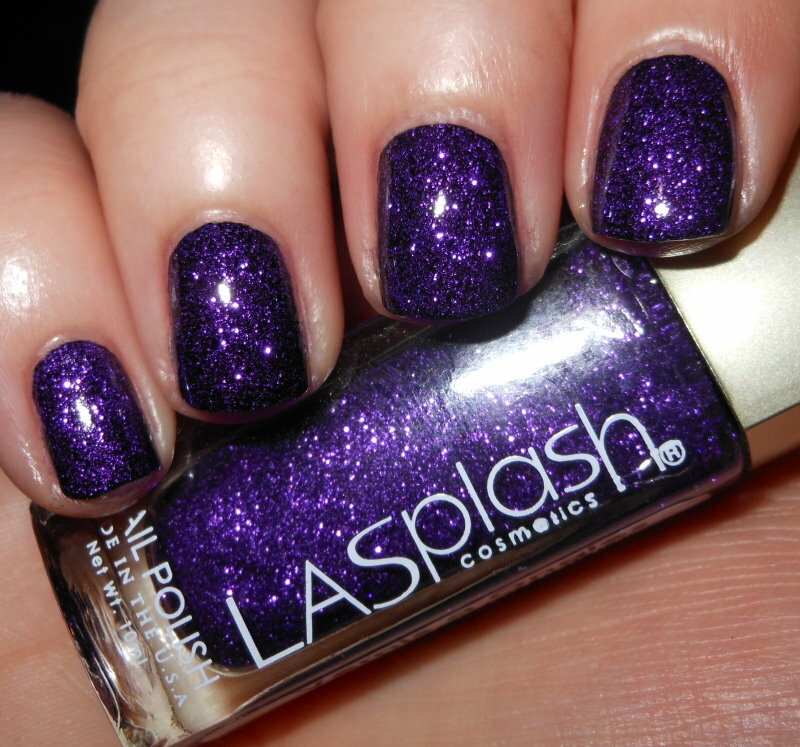 Heiress is a micro royal purple glitter in a clear base. I used two coats over Cult Nails Nevermore in this swatch. You could probably do 3 coats of this on its own, but I definitely recommend a base for a more even coverage. I love this color glitter, and to be honest it sparkles so much more in person than in the photo! I wish I could capture how much it sparkles! Heiress definitely gives you blingy nails. The formula on this is a bit on the thick side, but it isn't unmanageable. 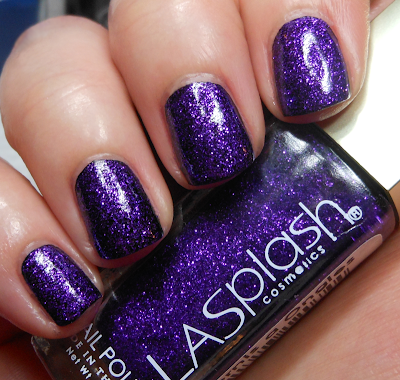 You can also find this polish for $3.50 on Cherry Culture. I'd recommend holding off until they have a 20% off sale though. I know last year they had one for March Madness, so I'm sure one is approaching! So pretty! I wish my BBB's carried beauty products! This is really pretty! I've picked up some great LA Splashes at BBB.